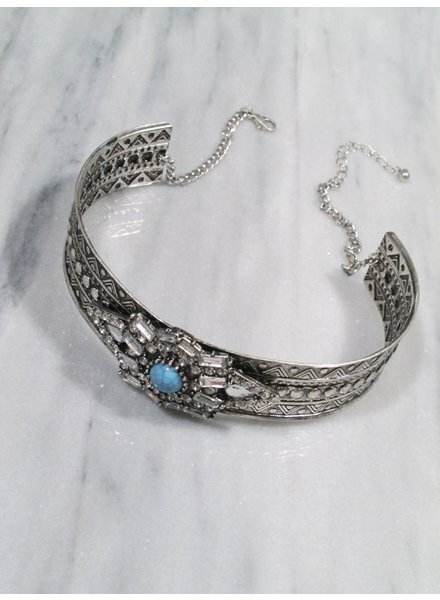 Silver boho choker with rhinestone and turquoise stone detail with a 2” extender. 2.5cm. in width.